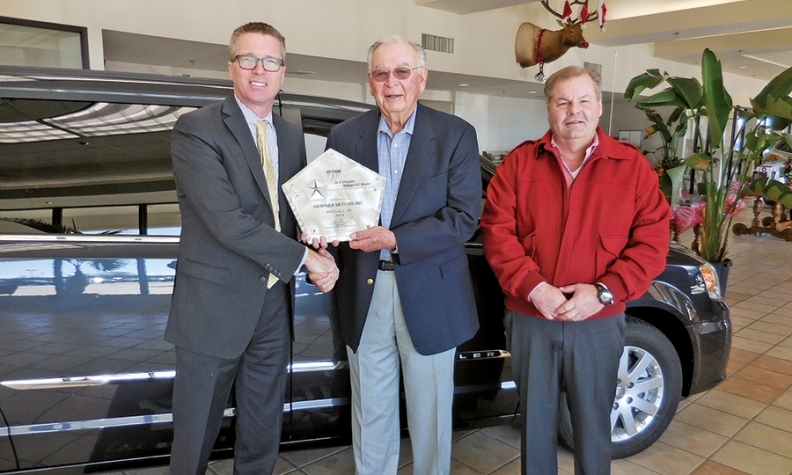 PICTURED ABOVE: Henry Heafner of Heafner Motors in Batesville, Miss., receives a 50-year award for the Chrysler brand. Pictured, from left, are Shannon Carr, director of the FCA US Southwest Business Center; Henry Heafner, dealer; and Keith Heafner, general manager. 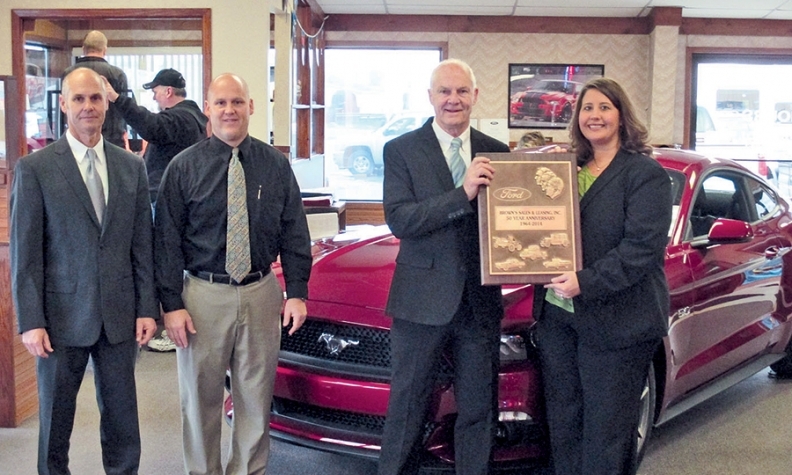 Members of the Brown family receive a 50-year award for Ford at Brown’s Sales & Leasing in Guttenberg, Iowa. Pictured, from left, are David Brown III, Forest Brown, David Brown Jr. and Heidi Shaffer, Ford Motor Co.’s Chicago regional manager. Robert Elder of Elder Ford of Tampa in Tampa, Fla.
Ronald Kody of Richmond Ford-Lincoln in Richmond, Va.
Gary Uftring of Uftring Ford in East Peoria, Ill.